Gold Medal Hero Pete Reed is coming to Nailsworth! Come along to the King George V Playing Fields on Sunday September 25th to celebrate Pete's Gold Medal in the Men's eight at the Rio Olympics. 3:00pm until 5:00pm. Pete will officially open the refurbished Tennis Courts and new sports equipment and then be available for selfies, photos, and autographs. All residents are invited to come along and meet Pete; bring a picnic! The CLT has been working very hard with Aster Homes and gcp Architects to draw up plans to develop the garage site at Lawnside/Bunting Hill for affordable homes. At the referendum on 18th August you will be asked to vote on a 'CRTBO' - a Community Right to Build Order - effectively you will decide the planning permission for this exciting development. 10 affordable homes are planned, a mixture of flats and terraced houses. If agreed, they will be available to rent for those on the Stroud Housing List that have local connections with Nailsworth. The Referendum will also include the removal of the Right To Acquire and the Right to Buy, meaning that these homes will stay in the town's ownership for ever. Nailsworth Children's Centre under threat. Mothers using the Childrens Centre services in Nailsworth are very concerned that council cuts will mean the Centre closing. A group of mums met Nailsworth Mayor, Myles Robinson, on Wednesday to stress how much the services mean to the community. The centre, based at the Arkell Community Centre in Forest Green, has weekly drop in sessions where residents can meet other parents and get help and support from the staff. It is currently funded by Gloucestershire County Council but is under threat from proposed cuts. Parents are able to share experiences, chat with others and get invaluable advice. A well stocked Toy Library, gives parents access to toys that they may not otherwise be able to afford. The Nailsworth Mayor was left in no doubt that the drop in sessions are a vital support to families in Nailsworth. He said “I am convinced that there will be serious short and long term consequences if this vital well run run service is cut. We are doing everything in our powers to fight Gloucestershire County Council’s plans to cut the funding”. One mother said “if the "Centre wasn't here I would be one of those Mums who never get out. It is company and adult conversation that I get most from, and the literacy and numeracy courses are such a help”. Another praised the help given by the staff “When I moved to this area I knew no-one and was struggling with money worries. The staff helped me a lot and even got me a grant for carpets." NTC is supporting Gloucestershire’s Car Sharing initiative. Another Way to Travel... Having a problem getting from A to B? Want to save money on petrol and parking costs? Want to do your bit for the environment? Why not Car Share? Owning and using a car can be expensive, so why not reduce the cost by sharing some journeys? If you do have a car you can save running costs by sharing. If you don’t have a car then your travel can be much more flexible, for no matter what public transport there is there are times when a service isn’t available to you. If you Car Shared just once a fortnight you will save 10% on your commute. Gloucestershire County Council has a county-wide car sharing facility at www.CarshareGloucestershire.com. It covers the whole of Gloucestershire and there are already nearly 3,000 members and more are joining daily. It is free to register and use and the site is very user-friendly. Further details are available at the Town Information Centre, The Library or The Arkell Centre. Alternatively contact Cllr Anne Elliott. Mayor Jonathan Duckworth celebrated the National Table Tennis Day, 14th July, by serving up a game on the new outdoor table at the King George V Playing Fields. It was a family outing to celebrate the third National Table Tennis Day, a promotion aimed at bringing people together to have fun and promote the sport. The new equipment is part of a £45,000 package granted to the Town Council by Fields in Trust, an organisation that safeguards public open spaces for the future. The money was awarded to celebrate 90 years of the Trust, and, in addition to the table tennis feature, it has enabled the council to install outdoor gym equipment, a picnic table and benches and to refurbish the tennis courts, car park and changing rooms. At the moment players have to provide their own bats and balls, but the council is looking into the possibility of getting some equipment which will be available for hire. A group of residents and councillors from all three councils (County, District and Town) have been working in response to concerns from residents in Nailsworth about traffic. A set of proposals has been prepared and these were shown at the Farmers Market on Saturday February 27th, in Mortimer Gardens. Members of the group were on hand to answer questions from residents and record comments. Afterwards the proposals will be shown in the Town Information Centre. They were also in the Nailsworth News March edition. The consultation is now closed and a report will be prepared for the Council. The tennis courts have been refurbished. The fences, gates and nets have been replaced and the courts resurfaced. This has been made possible by a grant from Fields in Trust. We apologise for any inconvenience caused during the works and we hope you enjoy the new courts. A Public Meeting was held on 23rd November at 7:00pm in The Mortimer Room to allow Nailsworth Residents to put forward their views on these proposed changes. Nailsworth Town Council objected to the proposals, and supported the Stroud District Labour Group's plan which suggested changes including Painswick being included in The Cotswolds and Nailsworth remaining in Stroud. The Town Council will be celebrating Tony Evans' 25th Year as Town Crier on the 25th of February. Please come along to the Farmers Market at 11:00 to celebrate with us. If it is very busy we will decamp to the Bus Station! NTC stepped in to help out a local resident on Friday 10th Feb. Robyn had arranged to film a promotional video for Duchenne UK in the play area at Horsley, but the play area is being renovated. We were happy to be able to allow them to film from 09:00 until 12:00. Whilst this meant that the play area was not open for other users, it did help ensure that the film could be made. The promotional video is ready to be signed off by Duchenne UK, but in he meantime, here is a different edit of the video. We are delighted to have been able to help out, with the exception of the weather! The fundraising page is here. There has been an election to fill the vacant seat on Nailsworth Town Council.The election was held on the same day as the County Council election, Thursday 4th May. Thank you to both candidates. FGR are promoted - it's the Football League for Nailsworth! Nailsworth Town Council congratulate Forest Green Rovers in gaining promotion to the Football League. It has been a long and eventful journey over 128 years, but what a journey; the smallest town ever to have a Football League team. NTC thank everyone that has been involved in this journey, you have done our town proud. Nailsworth Bee Friendly Town Project began in 2016 with a number of activities to encourage pollinators and enhance the town’s environment. We very much appreciate Naturesaves support for this project. The funding has enabled us to widen participation and has encouraged neighbourhood development. On Sat July 1st we celebrated National Meadows Day in the KGV park. We invited the Conservation Volunteer Trust to make Bee Hotels and seed bombs. This was attended by famililes, children and grandparents. Nailsworth Town Council will shortly carry out the yearly ‘manual push test’ on headstones in All Saints’ Churchyard. Any headstones which are unstable will be carefully lowered to the ground. Nailsworth Parochial Church Council will contact the family concerned and they will be asked to make the memorial safe at the family’s cost. This work must be carried out by professional monumental mason. A list of any headstones laid flat will be posted on All Saints’ Churchyard entrance gate for general information. Any headstones or memorials identified as being unstable must not be put upright by anyone other than a professional monumental mason. This is dangerous and could lead to further damage or injury. On Saturday 18th November Nailsworth Town Councillors will be available at The Mortimer Room to answer questions about the Council and its activities. Mayor Jonathan Duckworth and Cllr Anne Elliott will be pleased to hear your questions. We will try to answer as many as possible on the day. There will also be a District Councillor (Norman Kay) and our County Councillor (Steve Robinson) present. Come along between 10:00 and 12:00 on the 18th November, at The Mortimer Room, next to the Library. This year there has been a community-generated display of poppies on the town's Clock Tower. An idea from former Mayor Jenny Evans sparked Margaret Marshall and others to enthuse people across Nailsworth to knit red poppies. Many joined in to help, particularly Jane Luff and including Bob Warner and others. The poppies were fixed to netting and the Fire Brigade decorated the tower. Nailsworth lost 78 of its young men in the Great War and this extraordinary effort from the community has created a fitting commemoration. See details of the 78 here. Below you will se a report from the 2017 Town Meeting. We are hoping to keep the format. but look at ways of getting more organisations to show what they do, and also have more members of the public attend. Watch this space. The Annual Town Meeting was held on Monday 24th April in the Town Hall. It showcased activities within the town, with organisations displaying what they do. The Mayor and Pete Reed presented the Town Awards and the Town Council reported on what it has been working on over the last year. Parishioners were able able to set questions to the council. This was a new, trial, format and participants reported they thoroughly enjoyed it. Look forward to next year! Click for a copy of the Town Report. The A46 Group has continued work on this project and Gloucestershire Highways are preparing the necessary TRO (Traffic Regulation Order) for this and other items for Nailsworth's roads. When the TRO is ready information about it will be posted here. This interesting project will help to make Nailsworth a better town for all, not just for drivers. The project was started after members of the public expressed concerns about the effect of traffic on our community. The consultation carried out in Spring was overwhelmingly in favour of the scheme. Recently the Town Council applied for a grant from the Police and Crime Commissioner's Fund to buy two more Smiley SID signs and it is intended that these go on Spring Hill and the A46 from Stroud. There is already one proposed for the A46 from Bath. Smiley SIDs indicate a car's speed and a smile or frown - giving instant feedback to a driver as to how considerate their driving is. The Mayor, Jonathan Duckworth, has called a Special meeting of Nailsworth Town council to discuss the Section 106 Monies from the RedRow housing development in Forest Green. The meeting will be held on Thursday 8th March at 7:00pm in the Town Hall. All are welcome. The plan was for a MUGA to be built on the school grounds, but the contractor for the project went into administration. A full set of papers can be found here. On 6th November 2017 the Charter for Trees, Woods and People was launched by the Woodland Trust. The charter believes the people of the UK have a right to the benefits brought by trees and woods. The new charter will recognise, celebrate and protect this right. Nailsworth Town Councils Environment Committee decided to adopt the ten principles of the Tree Charter and to celebrate this will be planting three small native trees in KGV Field play area. NTC would like to encourage the local community to show support for the 10 principles of the new Tree Charter. Signatures are being collected on their website and a tree will be planted for every signature gathered in support of the Tree Charter Principles. 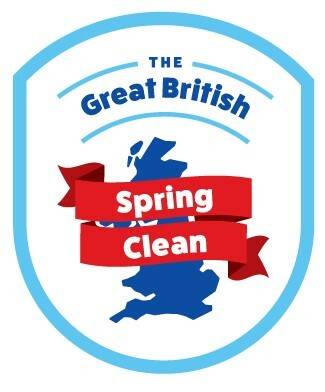 Keep Britain Tidy are once again encouraging local authorities and residents to dust down their litter picks and seek fresh air for their annual Great British Spring Clean. Litter picks; gloves; dustbin sacks; reflective vests will be provided and please wear suitable clothing for the day. Turn up and join us - help to love where you live. Stroud Town Council are currently consulting on the Sub Rooms and would be grateful if as many people as possible could complete the survey as below, as we know many people from outside of Stroud regularly visit and attend events at the Subs. The survey can be completed online in just a few minutes at: https://www.surveymonkey.co.uk/r/Subs2018.